Mossms working hard on a couple of Kath's lovely farms. Giget Padgett's Mossms enjoying their open air two story bungalow. Callie Tigerpaw's Mossms partying in a little blue house hidden in a forest. Joey Tuchs' Mossms spent all beta generating slack at his waterfront tiki bar. Nema Galicia's Mossms enjoying breakfast in their lego home. Zev Luv's Mossms rolling around on a bear skin rug in the family room. Desy's Mossms having a huge non-stop block party. Cobra01 Sands' Mossms enjoying their secluded jungle hideout. CC's Mossms living it up on their extended beach front patio. An honest day's work driving the Blossmator 2000-X at the Blossm Factory. Mossms™ is a breedable game in Second Life. Mossms are not of this earth. They love their new earthly friends (You) but still return to the stars for mating and exploration. 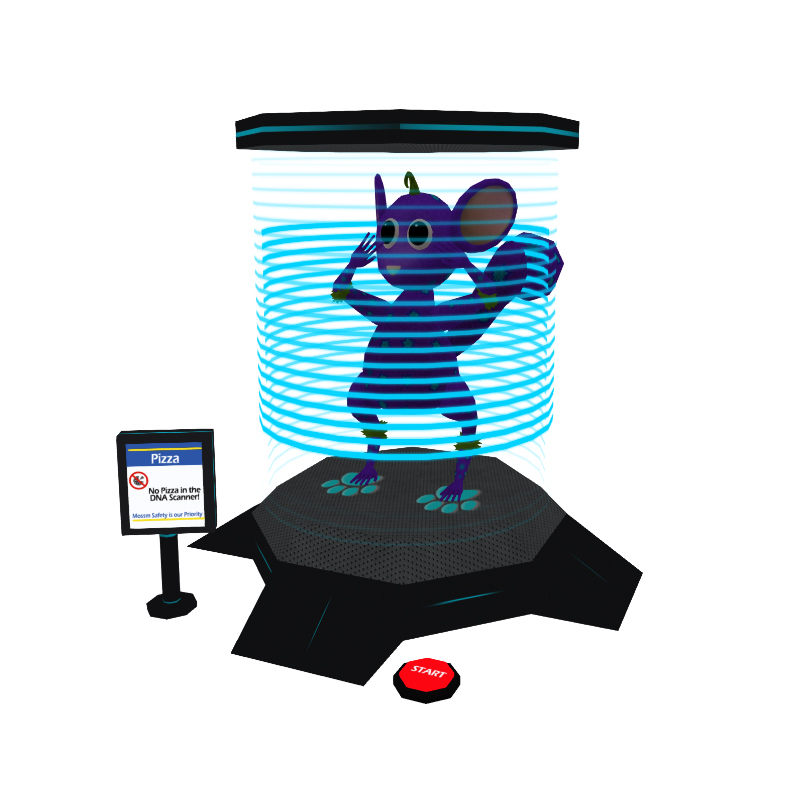 And thanks to highly advanced Mossm Technology, anything Mossms can do in Second Life they can do on the web too. Goodbye land restrictions! You are not invisible to your Mossms. They can see you, each other, and everything in their environment. It would be sad to see such intelligence go to waste, so put your Mossms to work. You can use the resources they generate on environments, breeding, & more! Mossms have a complex DNA system which allows Mossm parents to pass on their genetics. Not only are there a ton of unique looking breeds to discover, but you can also follow each Mossms family tree for several generations. Breeding Challenges are Getting Even Better! On April 24, 2018 (that’s tomorrow) we will be introducing a new way to complete the monthly breeding challenges. We’re super excited about this change and hope you will be too. Going forward, you won’t have to wait a month (or longer) to receive your prize(s) once you’ve completed the challenge. Breeding Challenge Ears Are Done! Today we sent out a brand new ear powerup to everyone that completed the difficult breeding challenge in January. Congratulations to everyone that earned them. The powerup can be found in your inventory on the breeding screen of the website and it is used during breeding. Simply check the box next to the powerup icon and it will guarantee that the baby you breed has the new ear. You can use the powerup on any planet; however, once the ear is on a Mossm the new ear DNA will only pass on planet 4 or higher. Please keep this in mind as you plan your breeding strategy. Now that the ears are done, we will resume breeding challenges again very soon! If you didn't earn the ears in January there will be more opportunities to get it once the breeding challenges start back up. If you completed the difficult breeding challenge in January but did not get your powerup please open a support ticket and we'll make sure you do! There are clovers all over the ground on the landing platform at Mossms HQ. Some of them are decorative and some of them are magical! 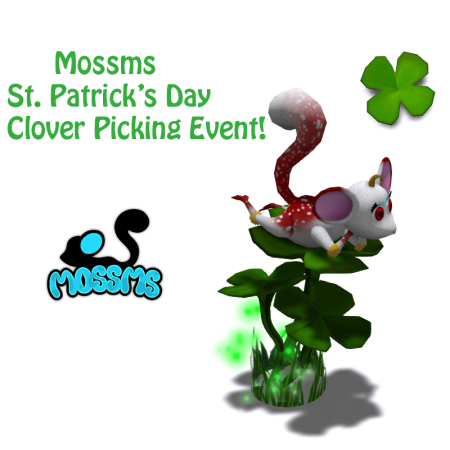 Find and click the magical clovers and receive great prizes for your Mossms! There are 3 prizes in total. Note: Sometimes when the sim is busy clicks won't register. If this happens to you, don't worry. Just wait a few minutes and try again. The Mossms 4th Annual Snowblowing Extravaganza will begin at 12:00 (SLT) today! Here's how it works. Login to the website then go to your Adventure Journal. On the Adventure Journal there are a list of locations that you can visit. Go to each location and find the Snowblowing Extravaganza kiosk and click on it to receive a prize. You may visit each kiosk once every 4 hours. Be sure to check your Adventure Journal often so you can keep track of your progress. Note: If you are not logged in to the website you will not be able to track your progress. New locations will appear in the adventure journal over the coming hours so be sure to check back often! 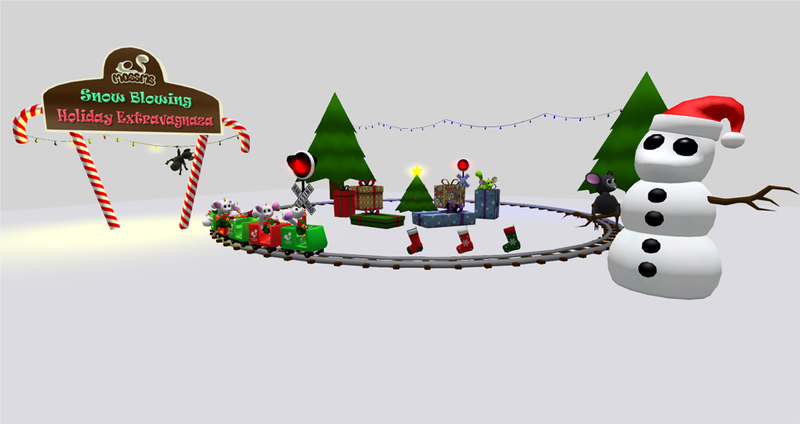 We are preparing for our annual Christmas/Winter event and are in need of Mossm owners to help us out by decorating your Mossms home and opening it up for the Mossm Community to visit. © 2012-2018 Pillow Fight Games. All rights reserved.